A simple errand at the Cooper's Creek Bank put the wife of Ethan Blackwood in the middle of a robbery-turned-bloodbath. 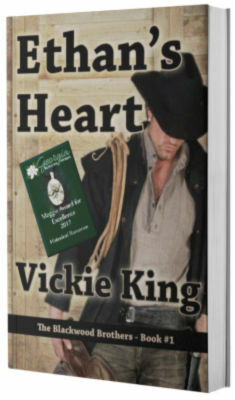 Now, Ethan vows to find the outlaws, no matter how long it takes or where he must go. But first, he needs someone to care for his two small daughters. After killing her abusive stepfather, Annie Benton Holt is on the run with a sick and weak infant. Even though it was self-defense, when her stepbrothers find out she’s killed their father they’ll be out for blood. If the law doesn’t put a noose around her neck first.